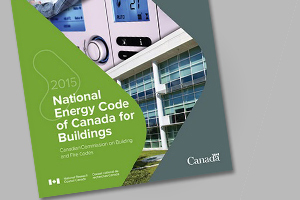 The National Energy Code of Canada for Buildings (NECB) is a National Model Construction Code developed by the Canadian Commission on Building and Fire Codes and published by the National Research Council of Canada to improve energy efficiency of Canadian buildings and reduce greenhouse gas emissions. Though the NECB has been in use in other provinces since 2011, its wide scale use in Alberta is relatively new—as of November 1, 2016, NECB compliance will be mandatory in Alberta for all new commercial buildings and additions. So what does the NECB mean for building owners? It ensures that buildings are efficiently designed. It requires additional investment up front, but creates savings in the long term. Complying with NECB regulations provides an opportunity for innovation. The NECB sets a minimum standard for energy use efficiency within building systems. It covers elements of the building envelope, mechanical, and electrical systems, ensuring that buildings are efficiently designed and provide energy savings to owners and users. Constructing a building to comply with the NECB requires additional up-front investment for both construction and design. This higher investment will ultimately lead to improved quality and reduced operational energy costs, something building owners should take note of when dealing with potential buyers or leasers. Despite the initial up-front investment required for all new buildings constructed under the NECB, the reduced energy use will result in operational savings for the life of the building. Lower energy use also provides some protection against future energy price volatility. For developers, these savings provide a marketing opportunity for both sales and rentals. By promoting the long-term savings to future tenants and buyers, developers can rationalize higher asking prices. Creating energy-efficient building designs requires an inter-disciplinary and cooperative approach to construction. Using energy modeling technology, design and construction teams can test ideas and innovate to create new, energy-efficient solutions that advance the fields of engineering, construction, and building operations. Energy modeling also allows building teams to explore scenarios and select the most cost-effective approach to achieving NECB compliance. The prescriptive or trade-off paths for compliance may not offer the same cost effectiveness for all buildings, so the use of technology along with inter-disciplinary cooperation creates an opportunity to build better, every time. At Williams Engineering, we’re well-positioned to address all areas of NECB compliance with our in-house resources, including building science, mechanical, electrical and energy modeling services. As a multi-disciplinary firm operating across Western Canada, we’re in the unique position to draw on the experience of our other offices that have been working with NECB regulations for years.